The benefits of online higher education are many as students more and more frequently find themselves needing to delicately balance the demands of working life and school life. Online programs make it possible for students to earn a degree without the need to disrupt their busy lives. With flexibility of time and location of study, online degree and certificate programs are an excellent way to advance your education. As such, it is increasingly becoming the norm for major institutions of higher learning to offer online coursework and programs of study and many major universities are constantly expanding their online offerings to include more and more fields of study each year. This ranking includes the 30 largest public and private non-profit colleges and universities offering expansive options for online study. This ranking is based equally off of enrollment data for the 2016/2017 school year collected from the IPEDS Data Center of NCES (National Center for Education Statistics) as well as the number of degree and certificate programs offered by the schools. We began with a list of over 100 colleges and universities and narrowed it down to the largest 30 by enrollment and number of online programs. Located in Lynchburg, Virginia, Liberty University is a Southern Baptist institution founded originally as Lynchburg Baptist College by televangelist Jerry Falwell in 1971. Enrolling over 110,000 students in both online and on-campus programs, Liberty is the largest Evangelical Christian university in the world and the largest private non-profit university in the United States. Online students choose from over 245 programs of study in a wide variety of academic and professional disciplines. Most online courses last eight weeks, while a select few are 14 and 17 weeks. A few select programs require intensives on campus that last at least one to two weeks. Southern New Hampshire University is a private, nonprofit, accredited institution with more than 3,000 on-campus students, over 80,000 online students and an alumni network of over 84,000, making it one of the fastest growing universities in the nation. Since its founding in 1932, the University has transformed from a school of accounting and secretarial science into an institution offering over 200 programs, from certificates to doctoral level degrees including business, education, liberal arts, social sciences and STEM. SNHU has three schools (School of Education, School of Arts & Sciences, School of Business) and its online offerings includes over 80 undergrad majors, over 80 grad degrees (including 40 MBA programs), and nearly 30 certificate programs. Programs are accelerated, with a grad degree taking as little as 15 months, and no GMAT or GRE is required for admission. Most of their grad programs have online courses can be taken from anywhere, including at their various centers. The University of Florida is a major research institution located in the north Florida college town of Gainesville. This school is the oldest public university in the state and has a ranking of 17 on the U.S. News and World Report list of the top twenty national public universities. The Princeton Review finds the school the seventh best value in public education. There are 16 different colleges set on the main campus. Students can choose from a wide selection of online degrees from the bachelor’s to doctorates. On the undergraduate level, seven different colleges offer online degrees. Students can earn a Bachelors degree in Environmental Management, Business Administration, Fire and Emergency Services, Digital Arts and Sciences, Health Education and Behavior, Sports Management, Applied Physiology, Criminology or Communication Sciences. 13 of the 16 colleges have Masters Degree programs, and five colleges provide opportunities to achieve a doctorate. Located in Salt Lake City, Utah, Western Governors University, or WGU,was originally founded by 19 U.S. state governors in 1997. WGU is the first online university to be accredited by NCATE (for teacher preparation), and received $10M in funding from the U.S. Dept. of Education for a Teachers College. WGU is an online university with career-aligned bachelor’s and master’s degrees—in teaching, nursing, IT, and business—designed to allow working professionals the opportunity to fit a university education into their busy lives. It has four colleges: Business, Information Technology, Teacher Education and Health Professions – each of which offers bachelor’s and master’s programs. Students work entirely online with mentors, with some exceptions for teaching and nursing programs. Courses are based on licensed modules from commercial providers, and tests are proctored via webcam and other means. Established in 1855, Pennsylvania State University is a state-related research university with 24 statewide campuses. Pennsylvania State University World Campus is often referred to as “Penn State Online” and is the virtual campus of Pennsylvania State University. The World Campus was founded in 1998, but Pennsylvania State University has been offering distance education courses since 1892, when it developed one of the nation’s pioneer correspondence study programs for statewide farmers. Penn State World Campus provides an accessible, quality Penn State education online to address the needs of individuals who seek a higher education beyond the traditional campus experience. Partnering with Penn State’s academic units and colleges allows Penn State World Campus to offer more than 150 degree and certificate programs developed and taught by Penn State faculty.Supporting more than 47,000 students and offering more than 150 online degree and certificate programs from bachelor’s to doctorates, Penn State World Campus is one of the largest universities in America. Arizona State University, in Tempe, Arizona is one of the largest universities in the United States, with an enrollment of over 70,000. It is a public research university that was established in 1885, and it has since graduated many leaders and other productive members of society with the skills needed to succeed in today’s economy. In addition to its on-campus programs, Arizona State University has developed extensive and rigorous online programs in a number of different fields to accommodate the busy schedules of non-traditional students. Regardless of your schedule, you can find time to tend to your education with the online schooling offered by Arizona State University’s esteemed administration and faculty. ASU offers online degree programs at the graduate and undergraduate level as well as a number of certificate programs. Fields of study for ASU Online include business, engineering, nursing, psychology, art history, and many more. With over 150 different programs available online ASU has one of the more comprehensive catalogues of online offerings available. Located in Philadelphia, Pennsylvania, Drexel University, is one of the 15 largest private universities in the U.S., and a top-10 employer in Philadelphia. It has multiple campus locations (five in Philly including the main campus, and one in Sacramento, California), plus partnerships with three other colleges. Drexel offers undergraduate and graduate degrees as well as certificate programs through 15 colleges and schools. The online division, Drexel Online, started in 1996 and includes bachelor’s and master’s degrees and certificate programs with the same curricula as the on-campus equivalents, and which are taught by the same faculty. Online tuition has reduced rates for Drexel alumni, military and over 500 partner organizations (corporations, schools, professional associations, and health systems). Additionally, several military-related options offer the possibility of free tuition for Drexel Online. Online programs are offered in academic and professional disciplines including Computer Science, Communication, Education, Engineering, Legal Studies, Medicine, Psychology, Public Health, Technology, and much more. Indiana University is a public research university located in Bloomington,IN. Founded in 1820, Indiana University Bloomington is the flagship campus of IU’s eight campus statewide system. Innovation, creativity, and academic freedom are hallmarks of IU’s world-class contributions in research and the arts. The school enrolls just under 50,000 students and is home to a large selection of online program offerings all the way through the doctoral level. With more than 120 online degrees to choose from, IU Online allows students to access a quality education with the flexibility to fit their demanding schedules. IU offers a wide variety of topics of study in their online programs including Applied Science, Business, Computing Technology, Design, Education, Humanities, Labor Studies, Parks and Recreation, and much more. The University of Southern California, is one of the world’s leading private research universities. An anchor institution in Los Angeles, a global center for arts, technology and international business, USC’s diverse curricular offerings provide extensive opportunities for interdisciplinary study and collaboration with leading researchers in highly advanced learning environments. The university was originally affiliated with the Methodist Church but severed ties in 1952. 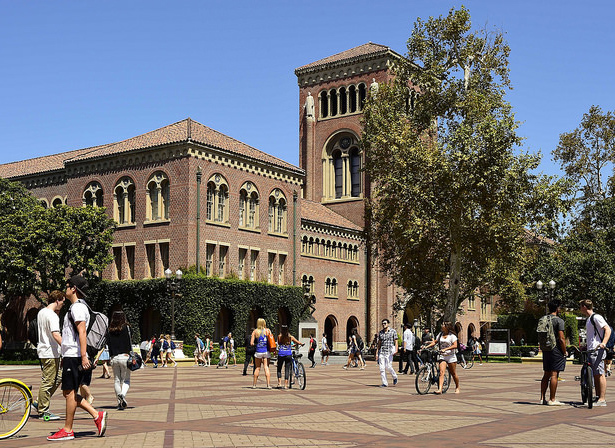 USC was in Princeton Review’s 2011 Top 10 Dream Colleges list, based on voting from high school seniors and parents. It has 22 academic units, with online offerings from 14 departments primarily graduate degrees, graduate certificates and professional programs, with the Viterbi School of Engineering offering over 40 online graduate engineering programs alone. Each USC online learning program is developed to meet the specific educational requirements of the academic discipline, the high standards of the university and society’s need for advanced professionals. While all of the online courses offer convenience and flexibility, courses also integrate virtual discussions with faculty and fellow classmates in real time. 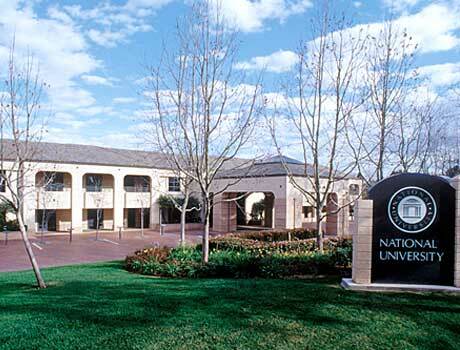 Based in La Jolla, California, an affluent community within the San Diego city limits, National University is a nonprofit research university founded in 1971 by retired U.S. Navy Lt. Cmdr. David Chigos. As the largest private nonprofit university in San Diego, the universities mission is to provide accessible, achievable higher education to adult learners. National University has over 45 locations in the states of California, Florida, Georgia, Nevada, Texas, and Virginia. NU is considered a pioneer in the digital learning, and has offered online classes for more than 20 years. There are currently over 150 online programs offered leading to associate’s, bachelor’s, master’s, and doctoral degrees as well as online certificate programs. Over 70 programs are offered 100% online. Courses are taught one per month – for an accelerated pace that allows students to focus – and are interactive, with streaming videos, real-time discussions, online community, and more. The programs are geared towards adult learners and offer a great deal of flexibility. Excelsior College is a regionally accredited, nonprofit distance learning institution founded in 1971 focused on providing educational opportunity to adult learners. Excelsior College was originally founded as an external degree program of the NY state Board of Regents, and initially funded by Ford Foundation and Carnegie Corporation. While it is a constituent member of the University of the State of New York, it went non-profit and independent in 1998 and changed its name from Regents College to Excelsior on Jan 1, 2001. It’s virtual university offers associate’s, bachelor’s, dual degrees, and master’s degrees from its five schools: Health Sciences, Nursing, Business and Technology, Liberal Arts, Public Service. Excelsior offers more than 30 degree and certificate programs and has dedicated advisors to foster and promote student’s academic success and a renown faculty providing relevant programs for student’s career advancement and goals. Located in Columbia, Missouri, the University of Missouri is a land-grant university and Missouri’s only public research and doctoral-level institution. The University’s mission is to discover, disseminate, preserve, and apply knowledge. The university promotes learning by its students and lifelong learning by Missouri’s citizens, fosters innovation to support economic development, and advances the health, cultural, and social interests of the people of Missouri, the nation, and the world. The University of Missouri enrolls over 33,000 students and offers over 300 different programs of study through 13 colleges and schools. Online degree programs are offered from the bachelor’s through doctoral levels as well as a variety of professional certificate programs in fields such as Agricultural Education, Agroforestry, Economics, Accountancy, Education, Health, Nursing, Environmental Sciences, Journalism, and much more. With more than 80 degree and certificate options and 1000-plus courses designed to deliver the same quality educational experience as the University of Missouri’s on-campus programs, Mizzou’s online offerings are ever expanding. Founded in 1831 as the state’s first public college, The University of Alabama is a public research university located in the town of Tuscaloosa. 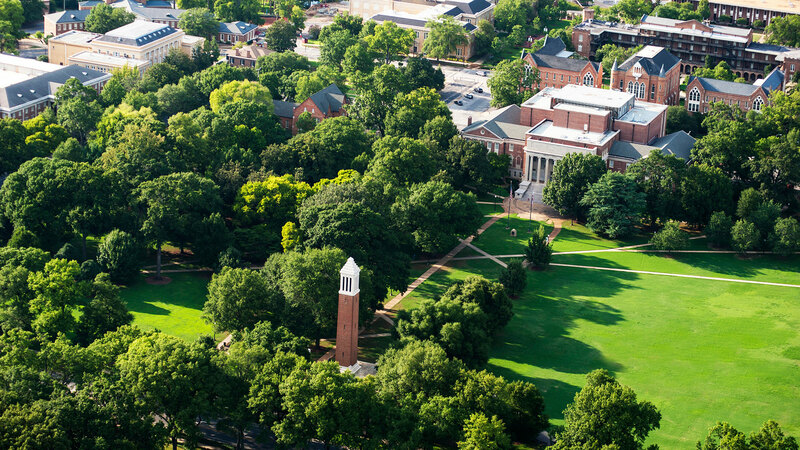 Dedicated to excellence in teaching, research and service, UA encompasses 13 colleges and schools. University of Alabama is a highly ranked school consistently named as one of the top 50 public universities in the nation. Through the school’s online division, “Bama by Distance,” students can earn online degrees and certificates in a wide variety of disciplines including Business Administration, Communication, Education, Engineering, Nursing, Social Work, and more. Through innovative and flexible formats, the Bama by Distance strives to provide diverse and convenient academic programs to learners pursuing educational goals and personal development. 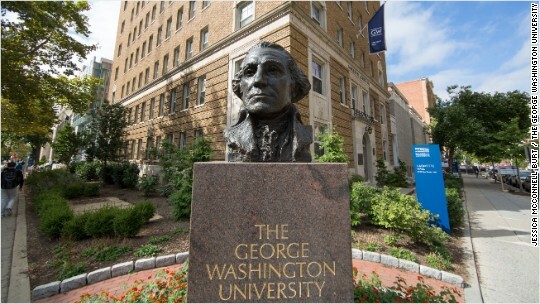 George Washington University in the nation’s capital, is named for the first U.S. president. It has ten undergrad and graduate colleges and schools, plus campuses in Foggy Bottom, Mount Vernon, and Virginia. It receives regular high rankings for its Law, Business and International Affairs schools. It is particularly noted for being a politically active school, with notable alumni including former First Lady Jacqueline Kennedy, former Secretary of State General Colin Powell, numerous senators, House representatives, and ambassadors, amongst others. The vision of the George Washington University to educate the next generation of citizen leaders extends to learners all over the world through online learning. The online degree programs span the range of liberal arts, business, education, medicine, nursing and pre-professional disciplines and include undergrad (associate’s, bachelor’s) and grad (master’s, doctoral) degrees, certificates and one-off courses – some exclusively online – and hybrid options. Founded in 1956 on Henderson Air Field, an old World War II airstrip, the University of South Florida has grown to become the fourth-largest public university in Florida. University of South Florida is headquartered in the city of Tampa, with satellite campuses across the Tampa Bay Area. Over 48,000 students are enrolled across the three campuses. USF is among the most research intensive universities in the United States and is dedicated to the delivery of competitive undergraduate, graduate, and professional programs, to generate knowledge, foster intellectual development, and ensure student success in a global environment. USF Innovative Education offers students an opportunity to complete a bachelor’s, master’s, or doctoral degree – or just a single course – in a convenient online format. Online programs are offered in a variety of disciplines including Cybersecurity, Music Education, Behavioral Studies, Education, Engineering, Sustainability, Medicine, and more. 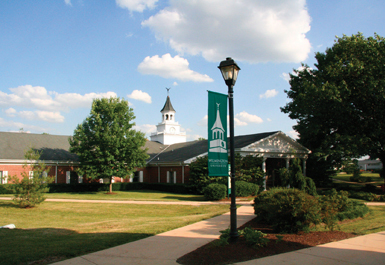 Wilmington University — originally Wilmington College, before 2007 — is based in New Castle, Delaware, near Wilmington (pictured above). It has seven academic colleges, multiple locations in Delaware, Maryland and New Jersey states. WU is considered “military friendly,” with select bachelor’s and master’s degree programs that are 100% online and in which courses run for seven weeks each. For non-military students, the online offerings include over 80 programs, concentrations and certificates. This includes 29 undergrad degrees, 38 graduate degrees (master’s, doctoral) and 14 certificates. Over 50% of WU students participate in online learning, either for some courses or entire degrees. 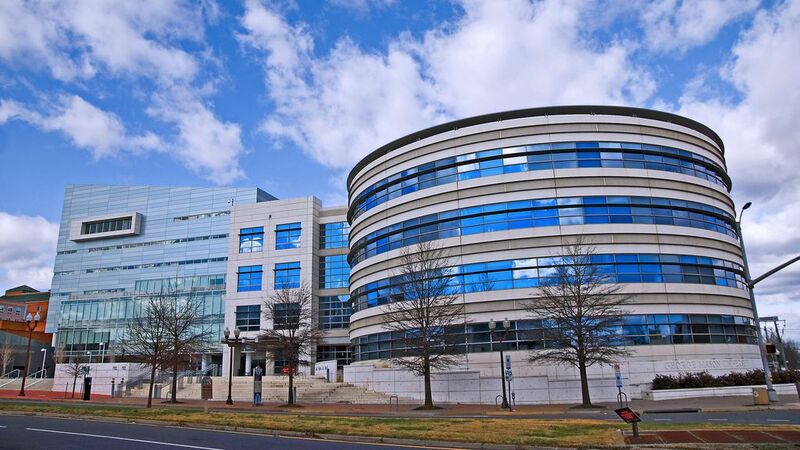 Located in Fairfax, Virginia, George Mason University is Virginia’s largest public research university. Located near Washington, D.C., Mason enrolls more than 33,000 students from 130 countries and all 50 states. Mason has grown rapidly over the past half-century and is recognized for its innovation and entrepreneurship, remarkable diversity, and commitment to accessibility. The university is comprised of 10 schools and colleges devoted to a variety of areas of study. George Mason’s online division provides digital Learning is devoted to helping students meet their academic, personal, and professional goals. Mason offers over 50 online and hybrid programs of study leading to undergraduate and graduate degrees, certificates, minors, and consortia programs. Brigham Young University – Idaho (BYU-I) was founded in 1888 and formerly known as Ricks College, becoming BYU-I in 2001. It is a private, four-year university affiliated with The Church of Jesus Christ of Latter-day Saints. BYU-Idaho seeks to create a wholesome learning environment in which students can strengthen their commitment to their faith and receive a quality education that prepares them for leadership in the home, the community, and the workplace. BYU-I has eight colleges housing 33 departments. Through stackable degrees, students can choose from several different online programs and earn a certificate, associate degree, bachelor’s degree, or all three. This approach helps students gain skills and improve employability at each step along their educational journey. By stacking certificate and degree options, students can earn three offerings for the cost and time it would take to earn just one bachelor’s degree. Its online offering includes 9 certificates, 4 associate degrees, 10 bachelor’s degrees, with over 100 online courses. It runs on a trimester system of 14 weeks each. Colorado State University-Global Campus is fully online, independent university within the Colorado State University System. CSU-Global is first 100% online university in the nation that is both individually and regionally accredited. CSU-Global campus offers a broad range of courses at the Bachelors and Masters degree levels in addition to lifelong learning courses and certificates. Degrees in popular areas such as Business, Information Technology, Criminal Justice, and Healthcare Administration are available. Students may also specialize and further focus their course of study in many of the programs. Courses are offered through 8-week accelerated formats with monthly starts which means students have a great deal of flexibility when entering the programs. With two campuses and over 33,000 students, Boston University is a major educational institution serving the needs of the Boston metropolitan community. Boston University is a private, nonprofit research university historically affiliated with the United Methodist Church. There are twenty colleges and divisions comprising the university. The online degree program, housed within the Office of Distance Learning, focuses heavily on graduate education but does offer undergraduates with prior college credit the opportunity to complete their degree online. Students may pursue a Masters degree in Art Education, Criminal Justice, Music, Computer Information Systems, Banking, Business Continuity, Health Communication, Insurance Management, International Marketing, Social Work or Tax Law. Doctoral offerings in Musical Arts, Occupational Therapy and Physical Therapy, are also available as well as a variety of certificate programs. Northeastern University was originally founded as an “evening institute” catering to Boston’s immigrant population. It’s currently classified as a high-research activity university and has graduate campuses in North Carolina and Washington states. NU has nine colleges covering the fields arts, media & design; business; computer science; engineering; health sciences; law; science; social sciences & humanities and professional studies. Northeastern University is home to a robust collection of online programs: over 70, in fact. They consist of associate, bachelor’s, master’s and doctorate degree programs, as well as certificate programs. Students can get a degree from a variety of subject areas, which include Applied Nutrition, Construction Management, English, Domestic Regulatory Affairs, Forensic Accounting, Information Assurance, Liberal Arts, Transitional Physical Therapy, TESOL, Sports Leadership, Technical Communication, and more. Webster University was originally founded as Loretto College in 1915. The main campus is in Webster Groves, Missouri, an affluent suburb of St. Louis named after historic New England politician Daniel Webster, Secretary of State under U.S. president Millard Fillmore. The University has locations in 7 countries across Europe, Asia, and Africa, as well as in North America. Webster has five schools and colleges collectively offering undergrad, master’s, doctoral degrees and certificates, licensures and accreditations. Class sizes are small, with an average of about 10 students. Online programs from Webster University offer the benefits of receiving a degree from Webster University while enjoying the convenience and flexibility of taking your courses online in a world-class learning experience. The university’s online offerings include graduate degrees and several grad certificates, which make up the bulk of online studies. There are also 7 undergrad degrees and 3 undergrad certificates. Baker College, based in Flint Township, is a private, nonprofit institution with a total of twelve campuses in Michigan state including the Auto/Diesel Institute and the Culinary Institute of Michigan. The college’s aim is to provide quality higher education and training which enable graduates to be successful throughout challenging and rewarding careers. Baker College Online brings students and instructors together from around the world, giving students a truly world-class perspective. Classes are led by qualified instructors and every course we offer online is based on a fully accredited core curriculum. Each student is assigned to a virtual classroom, where they’ll be able to participate in discussions, ask questions, and submit assignments, just like students would in a traditional classroom. Baker Online offers a variety of programs at the associate through doctoral level including degree programs and professional certificates. Online materials are available 24-7, giving students flexibility of class attendance. Online classes are led by qualified instructors and every course we offer online is based on a fully accredited core curriculum. 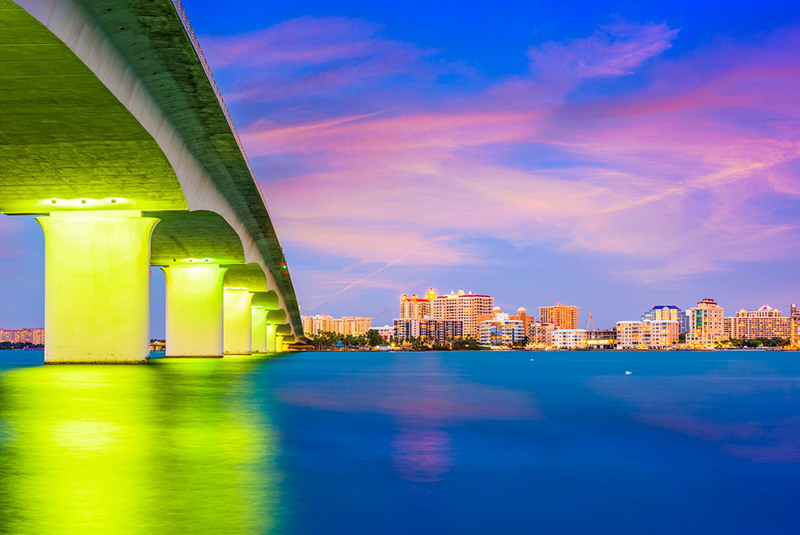 Located in Davie, Florida near Fort Lauderdale, Nova Southeastern University is currently home to over 25,000 students and offers 175 different programs of study. The university is dedicated to offering a diverse array of innovative academic programs that complement on-campus educational opportunities and resources with accessible distance learning programs to foster academic excellence, intellectual inquiry, leadership, research, and commitment to community through engagement of students and faculty members in a dynamic life-long learning environment. Founded as a graduate institute in physical and social sciences, NSU now encompasses 18 schools and colleges with a range of programs that include Oceanography, Early Childhood Education, Teaching, Nursing, Computer and Information Science and more. NSU offers a wide range of online degree programs administered through videoconferencing and other Web-based instructional technologies. Kansas State University is a public, land-grant university founded in 1966. Kansas State has campuses in the cities of Manhattan, Olathe and Salina, Kansas. The main campus encompasses 664 acres in the northeast Kansas city of Manhattan. The university serves over 20,000 students and offers degree and certificate programs through 11 schools and colleges. Kansas State has been offering distance education courses since 1971 and through its Global Campus, provides a wide variety of online only and online/on-campus programs for undergraduates and graduates, along with certificate and minor programs. K-State is a nationally recognized leader in innovative online education technology, so students can complete coursework conveniently, from anywhere, even if they have to relocate during their studies. Keiser University started as a for-profit university but became nonprofit in 2011. It has 19 campuses in total, including main campus in Fort Lauderdale and one each in Nicaragua and China. Keiser offers career- focused undergraduate and graduate degrees on campus and online. Keiser’s mission to provide the professional and academic foundation for students to meet their educational goals and objectives. Keiser University continues to be a valuable partner to employers, the community, and, above all, a valued choice for students serious about their education and career. The school’s online offerings include associate’s, bachelor’s, master’s, and doctoral degrees, as well as professional certificates. Classes are conducted in a one class per month approach, with the final exam taking place before a student’s next course. Saint Leo University, founded by Benedictine monks, is named in honor of Pope Leo the Great and is associated with the Holy Name Monastery and the Saint Leo Abbey. SLU is the oldest Catholic college in Florida and is also considered to be a military-friendly college, supplying education to military personnel since 1973, which includes online degree options. In fact, it claims to be one of the first American universities providing distance learning. It has well over a dozen continuing education centers in seven states. Through Saint Leo Worldwide, students can engage in undergraduate and graduate online degree programs prepare you to take advantage of growing career opportunities in a variety of in-demand fields. Online programs are designed to meet the unique needs of adult learners. Undergraduate and graduate programs prepare students for high-demand careers in the 21st century job market—including business, accounting, criminal justice, and health care management. Bellevue University, which was founded in 1966 as Bellevue College, is based in Bellevue, Nebraska, a part of Sarpy County — which has at least 20 locations on the National Register of Historic Places, including the Third Sarpy County Courthouse, pictured above. Bellevue offers bachelor’s, master’s, doctoral, professional and corporate education. 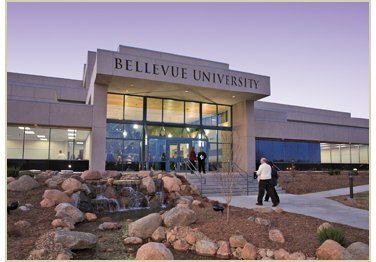 Bellevue University offers affordable online bachelor’s degree programs as well as online graduate programs designed with the needs of busy working adults in mind. Online degree programs are available from the bachelor’s through doctoral levels in a wide variety of academic and professional disciplines including Accounting, Business, Communication, Criminal Justice, Graphic Design, History, Leadership, Marketing, Psychology, and many more. Johns Hopkins University is a private research university in Baltimore, Maryland that was founded in 1876. It is considered the first graduate school in the nation. Namesake of its earliest benefactor — Quaker, entrepreneur, philanthropist, and abolitionist Johns Hopkins — the highly-selective university is internationally renowned and has been recognized by Forbes, U.S. News & World Report, Washington Monthly, and many other publications. The prestigious institution is a leader in online learning with degree programs from bachelor’s through doctorate as well as professional certificate programs. Johns Hopkins’ Advanced Academic Programs (AAP) offer flexible online options with the advantage of the world-class instruction and high-level interaction that are the foundation of Johns Hopkins’ tradition of excellence. AAP’s goal is to offer new, innovative academic programs online that meet the needs of today’s working professional. Park University started out as Park College in 1875, taking its current name in 2000. The school is named after George S. Park, who donated land for the original college. It has 40 campus centers in 21 states, some of which are military service members only, with the rest open to both civilians and military families. In addition to non-degree continuing education courses, Park offers online programs including undergrad degrees in 11 departments with various concentrations, associate degree options, and online master’s degrees available in 7 departments, with several concentration options for Education and Teaching. There are numerous graduate certificates, one professional certificate in Urban Development, and a Diploma program in Music Performance. The university claims to be the largest provider of online education to the U.S. Military, with a relationship dating back to 1889 and with many of the satellite campuses situated on or near U.S. Air Force bases. This concludes our ranking of the 30 Largest Online Nonprofit Universities.